This pack contains various solar panels that I've sourced from spacecraft concepts. They range from small concentrated solar panels to massive blanket solar arrays. 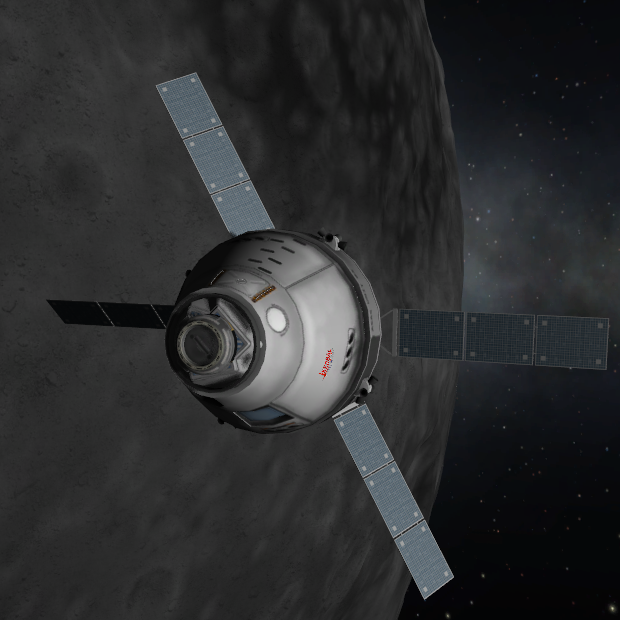 For more info check out the KSP Forum Thread. To install, place the included GameData folder inside your Kerbal Space Program folder. If asked to overwrite files, do so. One serious Question: When I want to install all Near Future Mods, I encounter a major issue. They All contain a file named B9PartSwitcher. Problem, I cannot merge these folders because the contents all have the same name too, but are different files. Can you make a fix for this for all previous versions? This is a must-have for anyone who wants to be more creative with their power generation. When simple stock solar pieces simply won't do, get ready to have your head explode with the scale of some of these Texas-sized solar blankets. And if you're REALLY brave (or nuts), use tweak scale mod to crank them even BIGGER. Hey, having a bit of a problem. None of the solar panels actually provide energy. They track the sun and everything, but currentflow (or whatever it says) always remains 0, no matter what I turn on or off. Why can you not retract some of the panels? you should add a dish which focuses the light to a central collector point... it certainly would look awesome! How about customizable panels? For instance, you can customize the colour, texture, etc. Normally i would have something wonderfully-witty to throw in here about retro-references or some quaint metaphor for .. i don't know.. space-shoes or something. I think i'll go a different route on this mod's 'review'. I LOVE you, you magnificent beast. Don't you DARE stop making mods. Glad you like! The plugin is for the CurvedSolarPanel module, it allows the curved solar panels to work properly (ie. gather sun from directions different than straight ahead). It looks like the SOL-A isn't compatible with TweakableEverything. But all the panels looks SOO nice... And I have 1 question: Why the plugin (NearFutureSolar.dll)? Not sure if it's quite what you're looking for, but there are some new ring solar panels in the next version. The Kosmos panels still work in 0.23.5, I think. I'm not really planning on doing anything exactly like theirs at the moment.